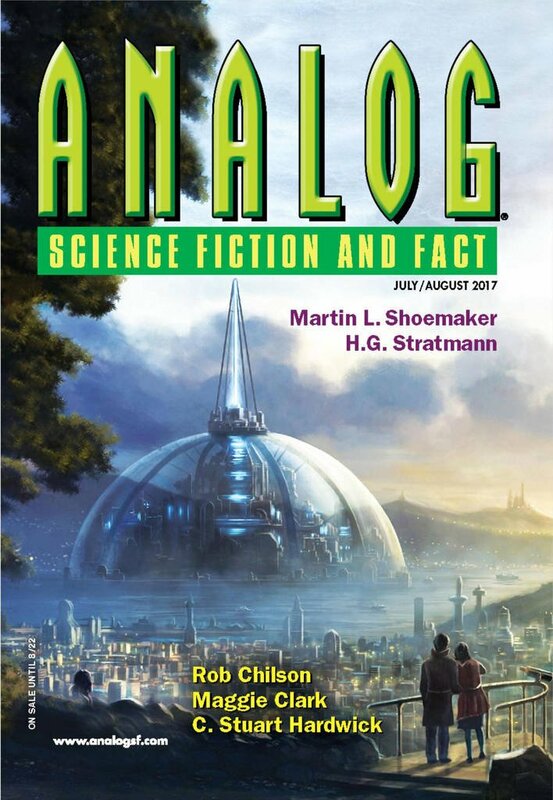 "A Little Spooky Action," by Howard V. Hendrix [bio] (edited by Trevor Quachri), appeared in Analog Science Fiction and Fact issue 07-08|17, published on June 15, 2017 by Penny Publications. Pro: Much of the physics discussed is real. Con: It’s not that funny.